March 13th, 2005 at age three years and a week shy of two months. 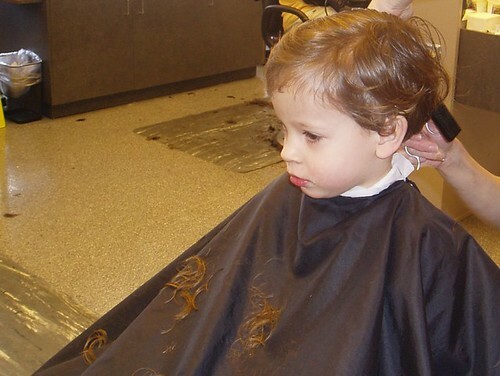 That's when James got his first actual haircut by a professional. Here's a picture I secured of this monumental event. The plan was for the two of us to make it until May but neither of us could take it anymore. The cut easily added a year to his face. Sweet Baby James is no more.